← The origins of your favorite symbol? I Want to Be a Mathematician … an automathography – This is a phenomenal autobiography, taking you deep into the life of an actual mathematician. Not only do you learn about the research aspects of mathematics, but also about the human side of the subject. It is a great read! Paul Halmos: Mathematics as a Creative Art – This is a synopsis of a lecture Halmos presented in Edinburgh, Scotland in 1973. It’s hard to summarize what he speaks about as it includes just about every aspect of mathematics but, if you ever want to know what a mathematician does or what people see in mathematics, then read this. It is just a beautifully written piece. 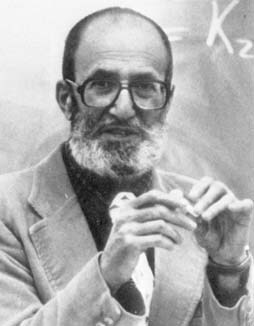 Paul Halmos is a wonderful ambassador for mathematics, even 5 years after his passing. In fact, it’s people like him who helped me discover the beauty and wonder of mathematics. Thank you, Paul.